In a land overshadowed by death, fifteen year-old Nell’s uncanny resemblance to Princess Joan brings her to act as her double—what young girl wouldn’t want to leave a life of poverty and pretend to be a princess? But when the plague catches up to the royal entourage, thwarting the King’s plan for the princess to marry the Prince of Castile and seal an alliance between their kingdoms, Nell’s life could change forever. Princess Joan’s brother The Black Prince schemes to make the wedding go on declaring Nell will no longer double for Joan, she will become the princess and dupe Prince Pedro into marriage! With the aid and protection of a quirky band of friends—a Spanish minstrel, a monk, a gravedigger, a band of merchants—Nell must evade not only the Black Prince, a practitioner of the dark arts, but the plague as well, as she fights to return to the King and country. 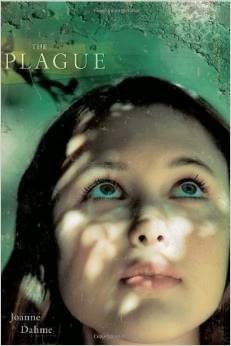 Based on historical truth, Dahme beautifully captures the dark terror of a Plague-infested fourteenth century Europe, while bringing to life the daily existence of medieval life for young adult readers.